XL 5262 x 5262px 15 Mb. 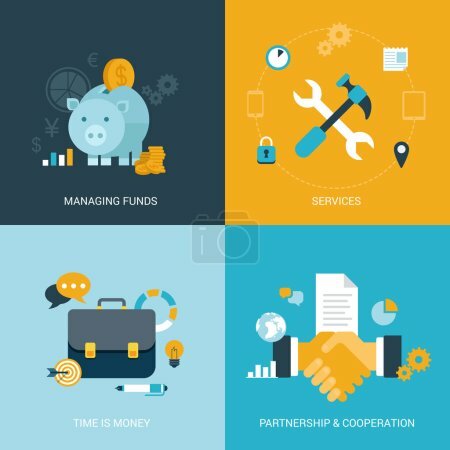 Flat design vector illustration concept process icons set of money finance services time saving partnership cooperation contract. Big flat processes collection.